The capital of Tasmania, Hobart offers a picturesque setting between majestic Mount Wellington and the River Derwent. Dating from 1804 and built almost entirely by Irish and English convicts, it is Australia's second-oldest city, and its long history can be seen in the restored Georgian buildings, colonial mansions, and quaint cottages. 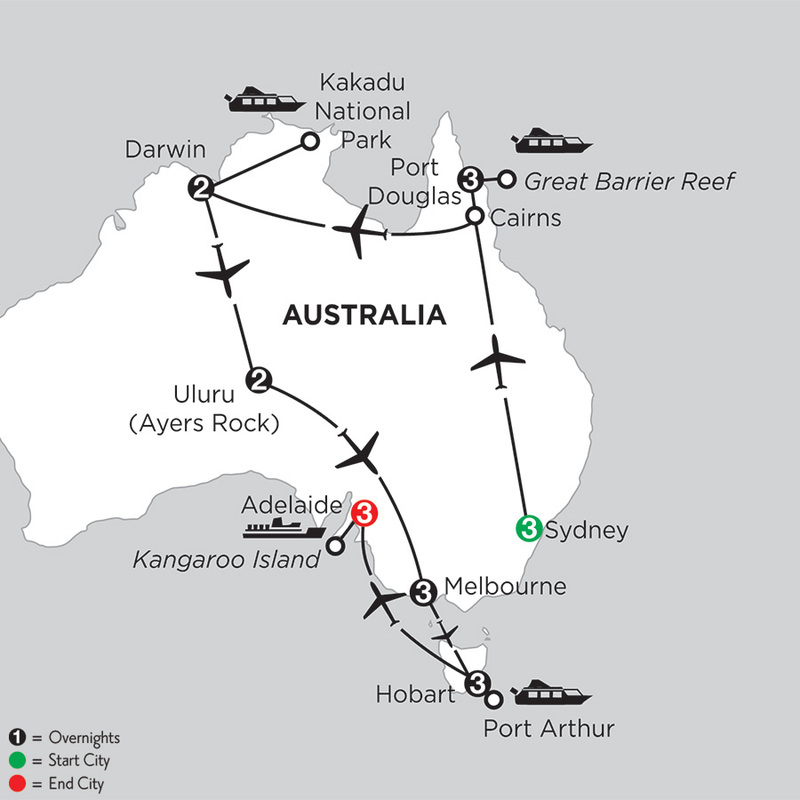 Along the waterfront, visitors can watch the yachts, fishing boats, and Antarctic supply ships. Sandstone warehouses from the past have been transformed into dockside cafés and restaurants. Nearby is Port Arthur, a well-preserved penal colony, which at its peak in the 1840s had 1,100 inmates. You may also choose to visit the Tasmanian Devil Conservation Park to come face-to-face with these fierce creatures. At Monograms, we have more than 90 years of travel experience and expertise behind us. 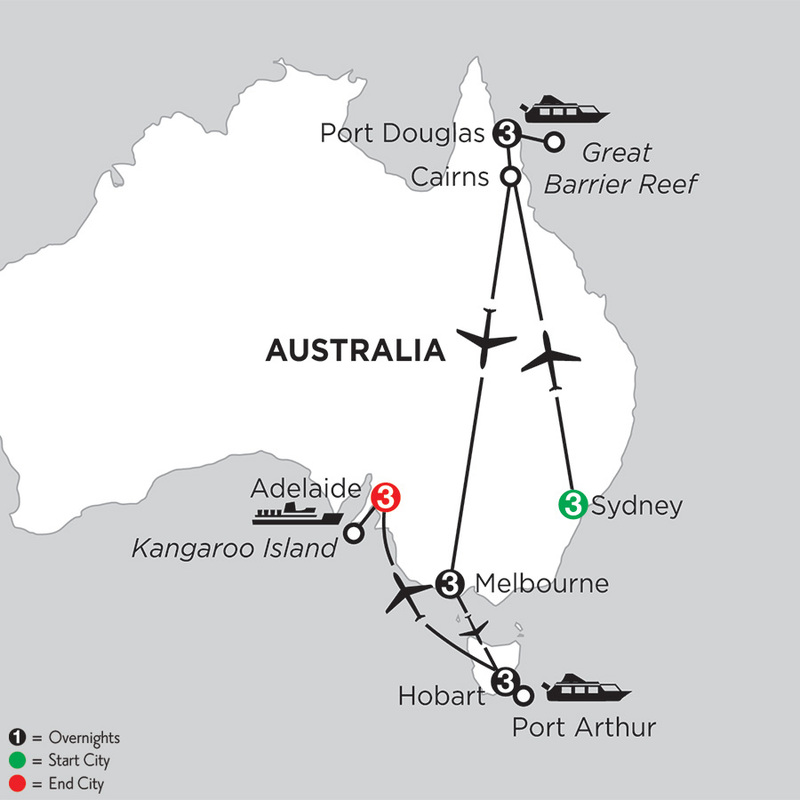 You can rely on experts to help you plan and book your Hobart Vacation Packages. Once you're there, we're ready to help you each step of the way with support that takes the worry out of travel.